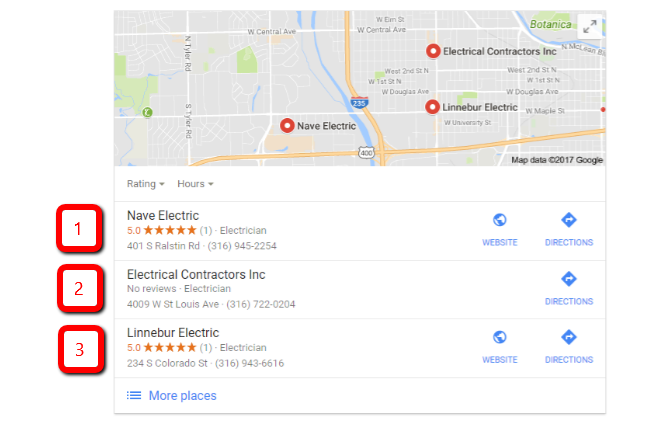 Does Nave Electric deserve to be #1 on Google? My name is Matthew and I would like to tell you a story. If you run an electrical shop here in Wichita you will find this very interesting. My team and I help our clients dominate Google and put their websites to work. 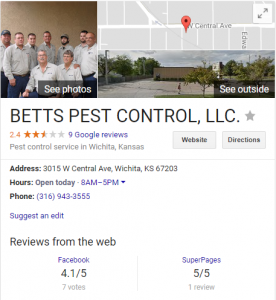 We have helped several local companies achieve success online, including Autocraft, US Logo, Cambridge Family Dentistry, Patton Termite and Pest, and Hanna Heating and Air Conditioning. A few months ago, I did a huge case study on HVAC companies here in Wichita (Hanna, Cooks, Fahnestock, Roth, Dans, Fenix, Kelley & Dawson, Welch’s, and Moddy Heating and Air). I compared all these companies in all the important areas when it comes to ranking well on Google and making the most of their online presence. 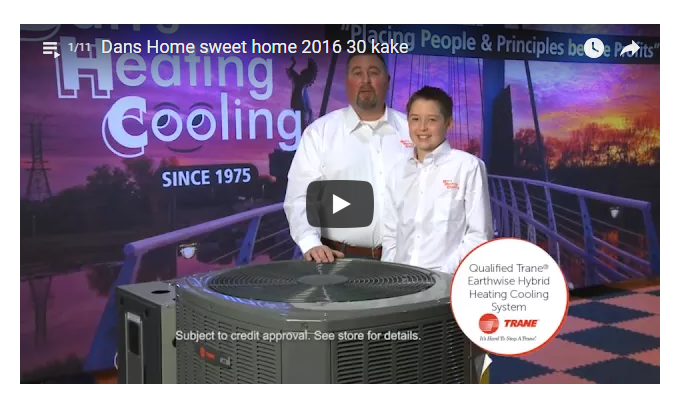 This case study was eye-opening to Hanna Heating and Air Conditioning, because it focused on several areas that they already knew they needed to improve, they just needed someone who knew how to help them. We had a couple meetings to see if we would be a good fit and now my team is hard at working helping Hanna dominate that first page of Google. I thought “Wow, that was great!” It took a great deal of time to put together, but that case study REALLY set me apart from all the ‘other guys’ working for big brands with their nice neat, prepackaged ‘digital solution’ packages (that aren’t doing anything to help anybody). It gave all the key players at all the biggest HVAC companies a TON of real value without asking for anything in return. So, I decided to make one for all the electricians in Wichita, as well. I ran into a number of surprises along the way. 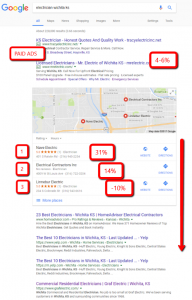 To start, I googled ‘electricians wichita ks’ and I made a list of all the top companies on Google. I came up with Nave, Decker, Graf, Young, Huff, Electri-tech, It’s Electric, Tracy, Brockmeyer, and Reddi (from checking the first couple pages of Google). You name it, I looked at it. My team helped me compile all the numbers and put them all together in a spreadsheet ranking how all the companies compared in the different areas. 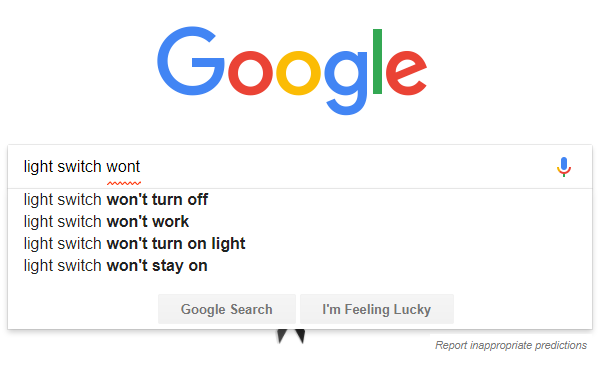 I was really shocked at how badly the electrical companies were in lots of important areas (to Google) compared to other service industries. For example, Mike & Sappio has 143 reviews on Google, Welch’s has 21, Custom HVAC has 17, Fahnestock has 15, and Hanna has 13, for an average of 11.1 reviews per company. 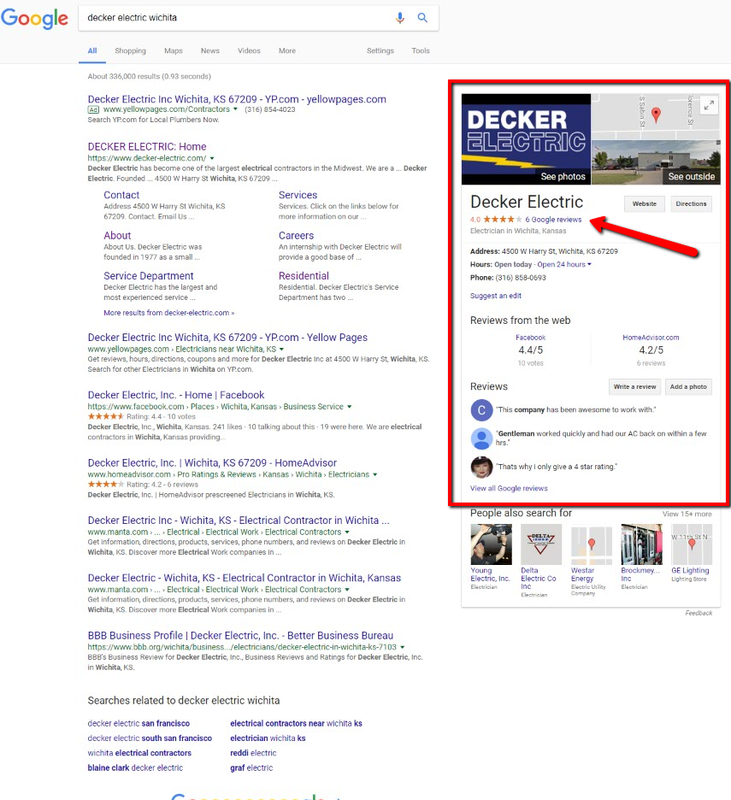 Of the electrical companies in Wichita, from my initial list of companies, Decker has TWICE as many reviews as any competitor – with just FOUR. Then I moved on to the number of links pointing to the HVAC sites (important ranking factor to Google). Kelley & Dawson has 665, Fahnestock has 489, and Hanna has 274. As for Electricians, with the exception of Tracy Electric with 838 links and Decker with 300, most companies aren’t breaking 100 links. I have done similar studies on pest control, plumbers and roofers in Wichita and I saw far more low-hanging fruit when it comes to ‘electricians’ than any other local service industry. By far. When you Google your business name, you will see a page that looks like this. 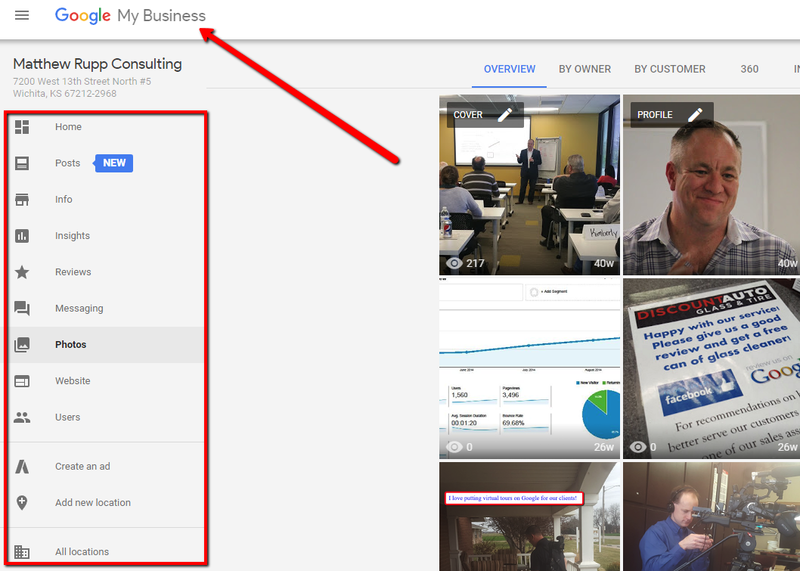 The information in the red box is what’s on your Google My Business profile (which is free to update). When you look at the Roofers in Wichita, you see that Farha Roofing has 52 pictures of their business, their team, and jobs they’ve performed. Heartland has 51, All States has 19, and Gary W. has 18. This helps Google understand what you do, who you are, where you are located, and why you deserve to be #1. When you look at the electricians (in my first draft) this is what you see. Decker is the only one that is even trying, with 28 pictures. The electrical field, as far as Google is concerned, in Wichita, is wide open. Google is TRYING to figure out who deserves hundreds, if not thousands, of visits to their website every month. 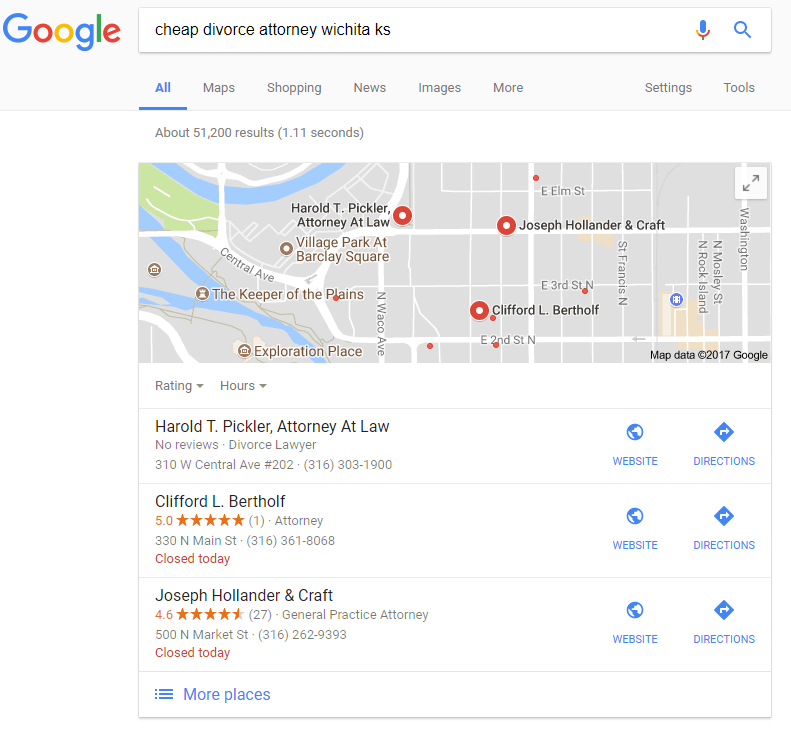 When two of the biggest service companies in Wichita are at the bottom of the second page of Google, getting next to no traffic, and the #1 result is a one-man operation, clearly, they are having a hard time. My guess is a lot of electrical companies in Wichita have been burned by phone book companies, tv and radio stations, etc., all hawking their online ‘solutions’. After a big waste of money, they likely just said ‘to hell with it’ and just focused on taking care of their customers and employees the best that they can. I have good news for you. Regardless of how big (or small) your company is, I am going to break down, in detail, a number of steps you can implement that will, without a shadow of a doubt, make a HUGE impact in your website traffic and, ultimately, the number of calls you receive. I will tell you this: It takes work. It doesn’t happen overnight. It takes patience and determination but it’s worth it. For example, a few months ago we started working with Superior Service Company at Central and Washington. They sell and service pressure washers. This is what has happened to their website traffic since we started working with them. If they were to decide to stop working with us next month, there is no reason to believe their traffic and increased sales would fall below where they are today. Maybe slowly over time, if they quit doing the things we worked with them on, but if they were to keep doing a few things we showed them, their traffic (and calls) would only continue to go up. Right before we were about to publish, I thought back to the work I did for the HVAC industry. It wasn’t until I met with a couple different owners that I realized who the real ‘players’ in the industry were. For example, I had NO idea that Hanna was a third -generation family business that had 50+ vehicles with guys out in the city every day! So, I reached out to a friend of mine at an electric supply house here in Wichita and asked for a few minutes of his time. I was curious who the big boys (and real small guys) were in Wichita when it came to electrical work. Two of the BIGGEST electrical contractors in Wichita that do more service work than anybody weren’t even on my list! One of the companies I researched, my friend (who clearly knows everybody and been in the business forever) had never even heard of them! Nave Electric, who showed up NUMBER ONE at the top of the first page of Google when I searched from my office is a one-man operation! It’s impossible to keep up with all the changes when it comes to Google. It’s a full-time job for us and this is what we DO! Everybody and their neighbor has a different story HOW to come up high on Google, and nobody has the same story. Trust me, I have heard some crazy ones and none of them are true! Spending money on paid ads (that show up at the top of the page) does NOT help you show up in the (free) organic listings. Google has NEVER called your business. I know you get about 12 robo-calls a day about updating your Google listing, but this is NOT Google. It’s a scam and they call Google as much as they call you! All the different salespeople that talk to you about their ‘digital solutions’ act like you might as well just close up shop and go out of business if you don’t buy this or that package. They claim to have lists of people begging for your service who just can’t find ANYBODY to do business with but you have to ACT NOW. Its pure crap. I get this post has turned into quite a beast, but I wanted to deliver a massive amount of value. My goal is to hopefully shed some light on a confusing, frustrating, subject and hopefully give you some ideas you can implement right away. If you have any questions don’t hesitate to reach out and we can set up a time to chat. 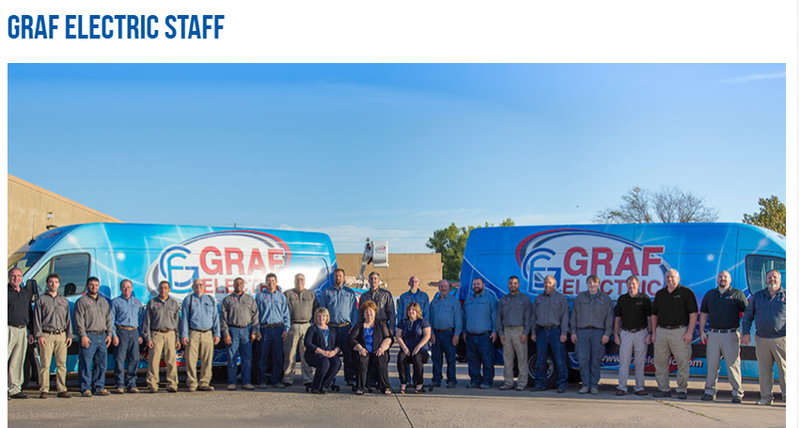 I will only work with ONE team of electricians here in Wichita, then I will take this post down and put all our energy into that one company. And, ultimately, increase dollars on your bottom line. NO, I am not talking about some cookie-cutter, nonsense list of 4 ‘tips’ that are a complete waste of time. I am talking about a deep dive by an experienced, seasoned Internet marketing professional. I am a life-long student and don’t like being called an expert (but if there is one in Wichita, it’s me). 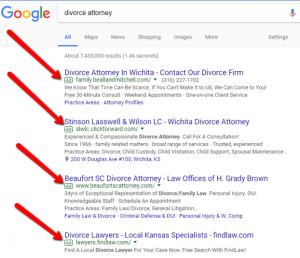 I have given over a dozen presentations at WSU, the Center for Entrepreneurship, Society of Professional Marketers, and different Chamber of Commerce events on how to get websites to the top of Google. 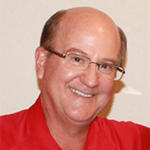 I have helped companies very much like yours, including Hanna Heating & Air, Cambridge Family Dentistry, Midwest KIA, AutoCraft, Patton Termite & pest, US Logo, Treescapes, and Kansas Controls. 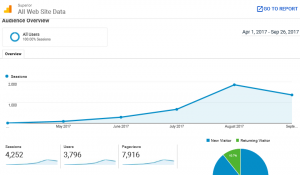 I am going to cover six (big) steps in this article that, if implemented, will, without a doubt, have a significant impact on your rankings on Google, the amount of traffic to your website, and the number of phone calls you receive. I don’t think they will, I KNOW they will. These six points are taken directly from the playbook we use for all our clients and I have seen the impact over and over. Before I jump into the good stuff, let’s get on the same page real quick. 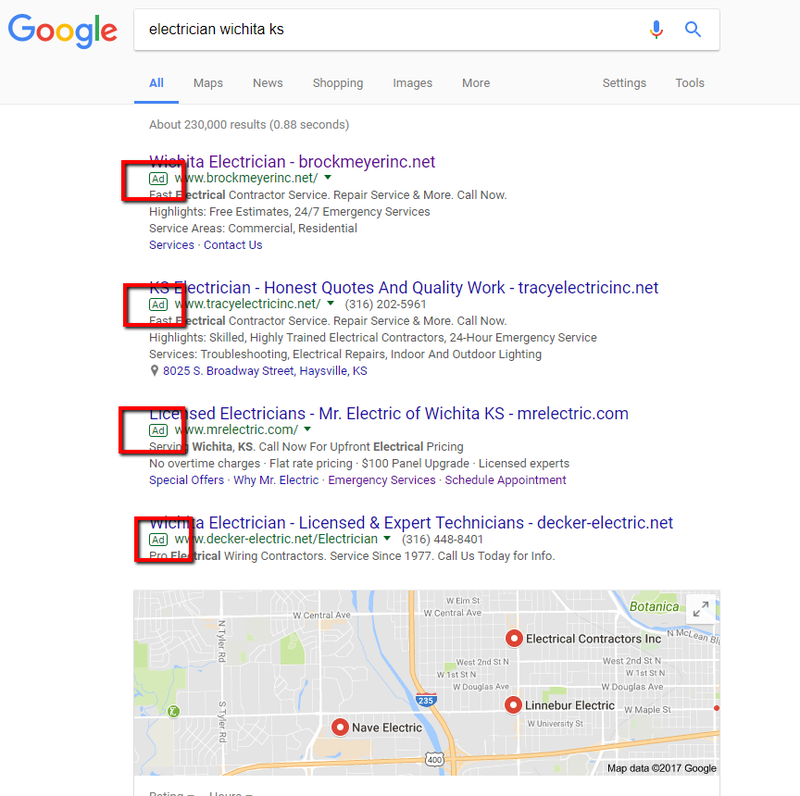 Let’s break down what you see when you Google ‘electrician’ in Wichita, KS. The top of the page is paid ads, of course. The great thing about paid ads is that they show up instantly (after you pay, of course). The bad part is that they disappear once you stop paying and they do NOTHING to help you show up organically (organic is the ‘free’ traffic. You get this by earning Google’s trust – which I am going to show you how to do in this article.) The more competitors there are for a certain keyword, (keywords are just words, or strings of words, people type in to Google when they are searching for something) the more paid ads you will see. 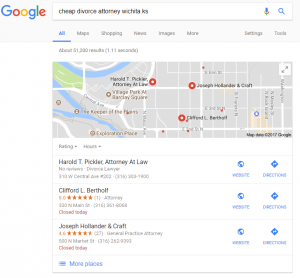 ‘Cheap divorce attorney’: NO PAID ADS. 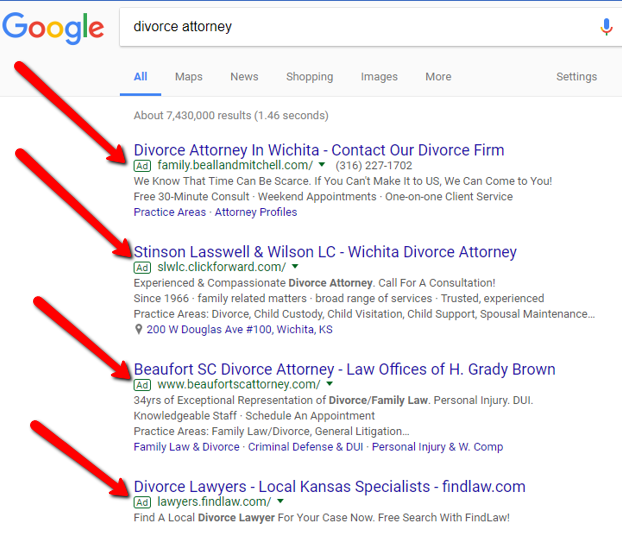 This just shows that no attorney WANTS to rank for this particular string of keywords. Paid ads only account for 4-6 percent of all clicks. People know these are paid ads and that’s not what they are looking for. On a regular basis, it blows my mind just how MUCH money is thrown right out the window when it comes to pay-per-click traffic. It’s astounding. Here is a case study on the RIGHT way to do pay-per-click advertising. This will show you how to do paid advertising in such a way that you know your cost-per-lead and cost-per-customer to the penny! I am excited about getting to the good stuff, as I am sure you are. Don’t worry, it’s coming! So, if the paid ads only get 4-6 percent of all clicks, where are most of the clicks going? The top spot on Google gets 31 percent of all clicks on average. The second spot receives 14 percent. Followed by the third spot, with less than 10 percent. The top five places receive a combined total of 68 percent of all the clicks. Results 6-10 get less than four percent of all clicks! and Linnebur, at #3, would only be getting 90 or so visits (out of 1,000). Just two spots down and not an INCH in the results could be hundreds of lost visits a month. 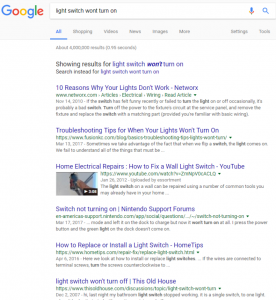 People use hundreds (or thousands) of different keywords for anything and everything related to what they are searching for, so to assign a value to ranking well for just ‘electrician’ is massively oversimplified and, just to illustrate how powerful that top spot is and where clicks go (regardless of industry). Where your customers are physically located in relation to your location is an increasingly important ranking factor. Okay, we touched on the benefits and drawbacks of paid traffic and who is getting most of the clicks and traffic. Google’s mission is not to serve the companies it ranks or those who advertise with them. Google’s customers are their USERS, the 3.5 billion people a DAY who use Google for a mind-boggling array of queries every day. 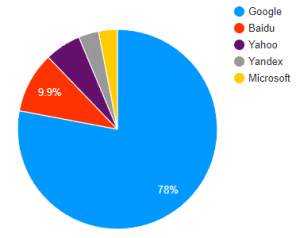 What does Google do better than anybody else? Returning the BEST possible result based on the keyword (or string of keywords) that are searched. Love ‘em or hate ‘em, it’s hard to argue with that kind of success. So, what should your goal be when it comes to your website and online presence? 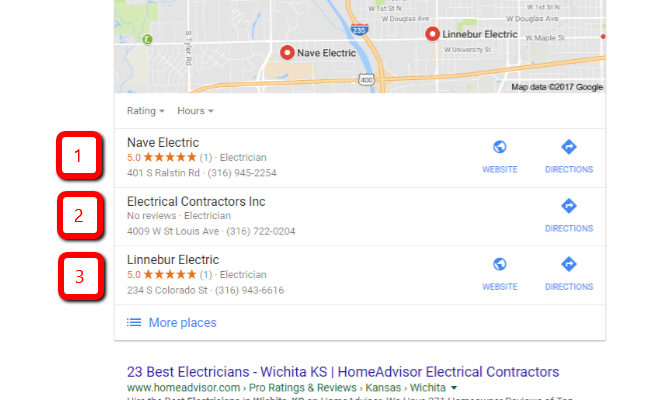 Making it EASY for Google to trust that when it comes to being an ‘electrician’ in Wichita, KS., you are hands-down, without a doubt, the best damn choice possible. Be prepared to be shocked at just how low the bar is set. It might start to make sense why Nave Electric showed up #1 when I searched for ‘Electrician’, and it’s NOT because they are doing a lot of things the right way, trust me. BIG POINT #1 Google doesn’t rank websites. They rank pages. 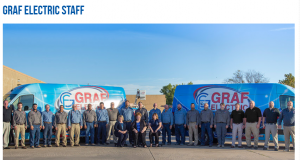 Who doesn’t know that Graf or Decker are electricians in Wichita? I know that just from being a Wichita Wagonmaster and a red shirt with Riverfest. Who doesn’t know what Hutton Construction does, or Hanna Heating & Air Conditioning? You know that and so do I, but we live in Wichita. How easy are these companies making it for Google to understand that? Mini dental implants are mentioned in the Title Tag. “Mini dental implants” is also part of the URL or website address. The title of the text on the page is “Mini Dental Implants”. Mini dental implants are mentioned in the body of the text (naturally, not forced). This page doesn’t even have images, video or outbound links (that would make it even more helpful) for Google to ‘trust’ this page. How easy is it for a computer that crawls tens of billions of web pages a day to TRUST what this site is about? The body of text is far from clear, I think you would agree. 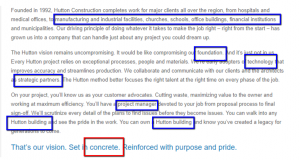 I have nothing but love for Hutton Construction or anybody else I ‘critique’ in this post. 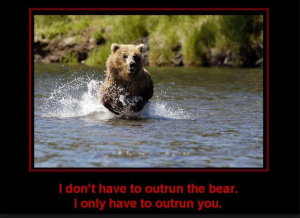 My intention is not to run anybody down, just demonstrate how things you see ALL THE TIME on Google are making it very difficult for them to TRUST you with that #1 spot! TITLE TAG IS NO GOOD. Hanna doesn’t want to rank for their own NAME. 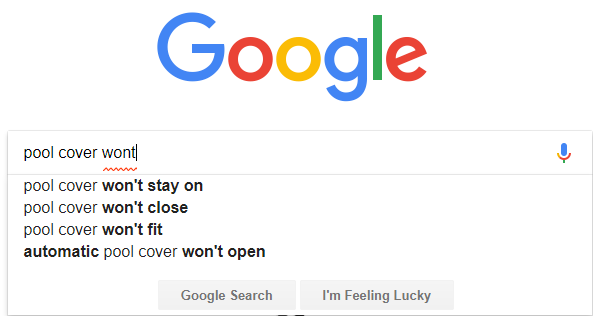 They want to rank for the things that their customers are searching. There is no body of content. What do they want to rank for? Plumbing? Geothermal? VIP Maintenance? Residential Comfort? I doubt it. You get the idea. 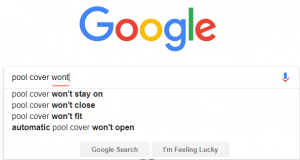 Before we worry too much about being #1, the goal very often is making it possible for Google to trust WHAT you want to even rank for, much less be #1. BIG POINT #2 Don’t hide from your customers. Red dots represent what was clicked on over the last 174 days. Clearly the page getting the most clicks is the About page. This is true for almost every client we work with. Your customers are looking for somebody to trust. They need help with a problem. It might be pain in a tooth, a wrecked car or an AC that doesn’t work. They are possibly going to have to spend a good amount of money, so they turn to Google to find somebody who is good at what they need done. They visit your website. If that doesn’t turn them off, very often the next item they click on will be the About page. what do you hope to find? My guess is pictures of real people who seem genuine and sincere. People who have experience with their particular problem. Maybe a little back story or history of the company to help them feel comfortable with reaching out. A great About page is so important. You don’t want to win the fight of getting visitors to your site and then lose them because your site isn’t helping build enough trust to get them to take the next step. 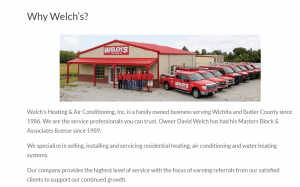 A number of HVAC companies here in Wichita are doing a pretty great job at this. It’s sad that it’s buried at the bottom of the page where most of their visitors don’t see it, but this video is superb. http://linneburelectric.com/index.html – I really like this one. Honest. Simple. ‘about’ them isn’t resigned to just the ‘about’ page, it’s everywhere. Just want to cut to the chase and set up a meeting where we can chat and see if we are a good fit? Click Here. 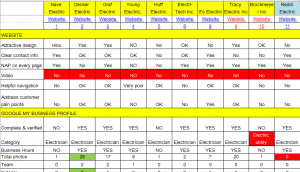 I will only work with ONE electrician in Wichita and we guarantee our results. 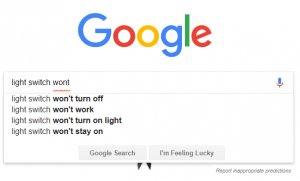 BIG POINT #3 Don’t hide from Google. Google provides a (free) platform where you can tell them your address, industry, hours, fax, holiday hours, description, logo, tagline, and a whole wealth of other details. They will display all this right in the search results when somebody looks for your business. 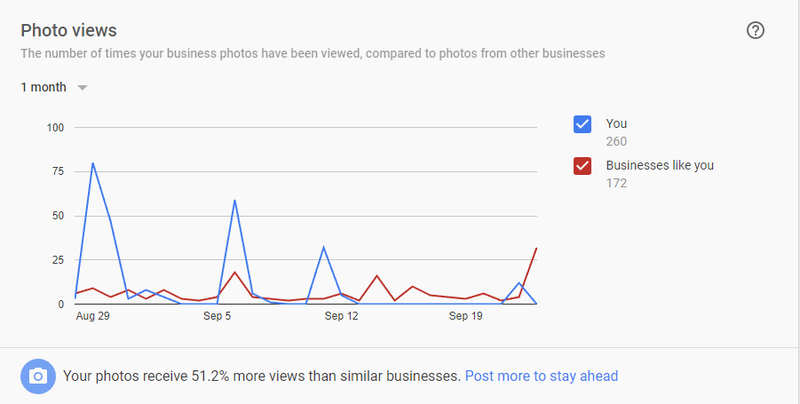 Here’s an example of where to find what I am talking about for your business. 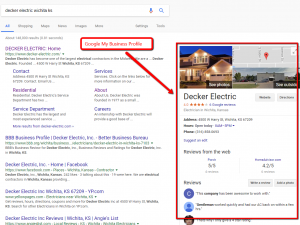 Just search for your business name and you will see the box on the right. Notice the number of reviews right out front hopefully helping potential clients feel warm and fuzzy about reaching out to your office. This is one of the FIRST steps when trying to improve your rankings and website traffic. Google is constantly tweaking and improving this platform! They just added the ability to chat via text message or right from your desktop with people on the web interested in your service, the ability to add timely posts (like a party or company fundraiser for a good cause, for example) right in that box at the top of Google! 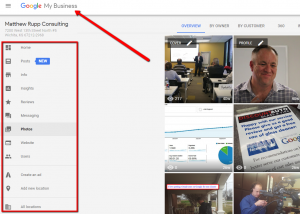 When you log into your Google My Business profile you can add details about your business, add photos, see insights into how people are interacting with your profile on Google, and much more. 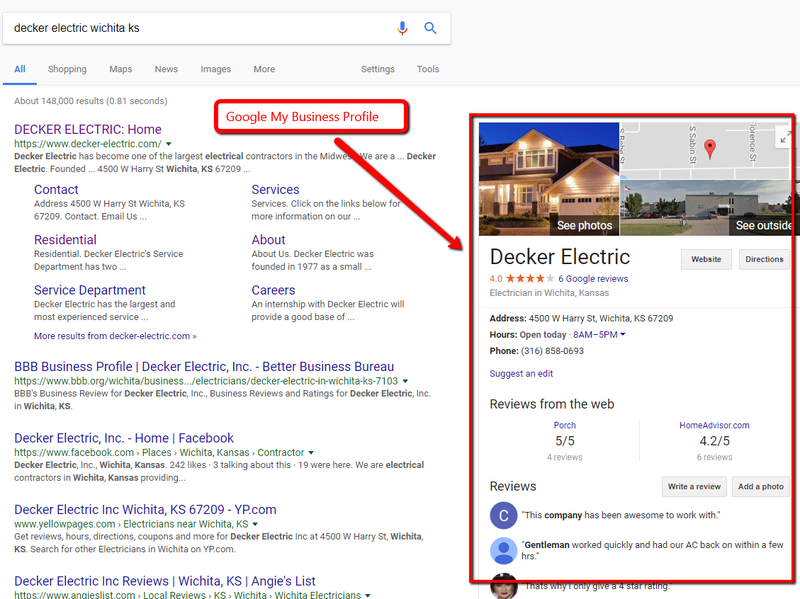 An enormous opportunity for every service business in Wichita (especially electricians) is to share photos of your business on this platform! They have expanded the categories you can add photos in and really emphasized more (and recent) photos will result in more website traffic. 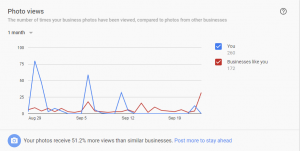 Clearly more photos and recent photos are important to Google! From looking at the profiles for a lot of the electricians in Wichita there is a lot of low-hanging fruit in this area. I am almost positive Brockmeyer isn’t an electric utility. Nave, Huff, Brockmeyer aren’t verified (Google will send you a postcard with a code inside it to verify). The same 3 companies have no business hours listed. Decker has more photos than anybody I looked at, but only a couple have people in the photos and most are stock photos. 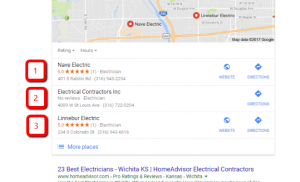 See what I mean about it not being EASY for Google to see who is the best possible result when it comes to electricians in Wichita? That’s why you (sometimes) see tiny companies that do five percent as much business as some of the big boys in town ranking right next to each other. BIG POINT #4 Fight the easy fights! Where do you imagine most of your customers start their journey when they have a problem and turn to Google? What will help solve THEIR problem? Jump right to the company that you can PAY to solve your problem? If you are like most people, you start with what will solve your immediate problem. 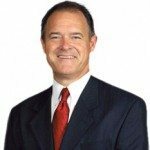 I will explain why this is such a tremendous opportunity for your business. 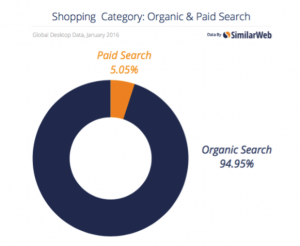 Fifteen percent of the searches on Google have NEVER been searched for before. 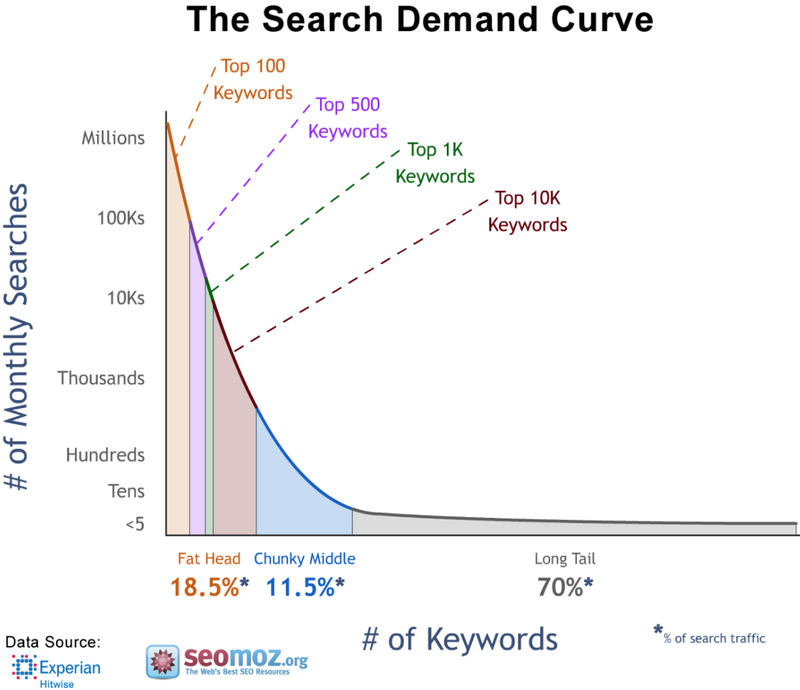 B) Something called the ‘Long Tail of Search’. 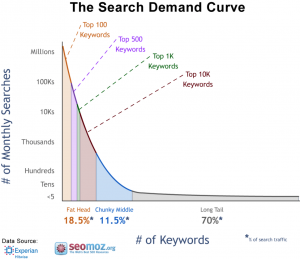 The long tail of search is very simple and applies to every industry. Feel free to Google it. You will find over 12 million articles on the subject. 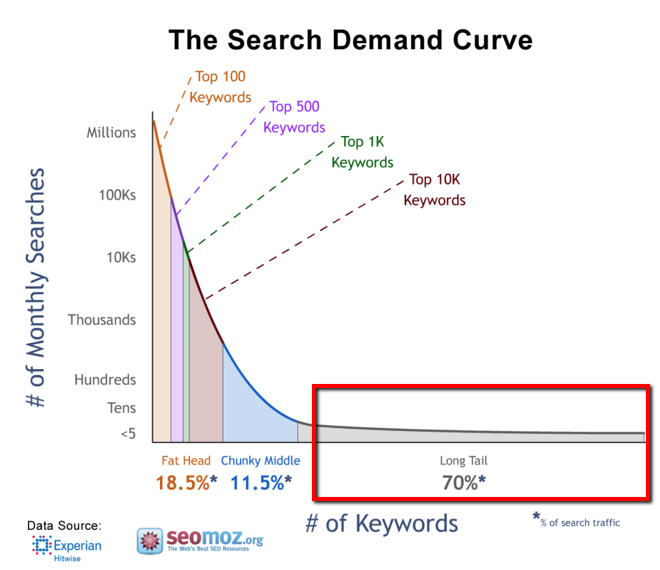 In a nutshell, this is what the Long Tail of Search means. ‘Electrician’, right here in Wichita, likely gets searched thousands of times a month, for example. This keyword is very general and gets a LOT of searches. It also has zero intent and gets traffic from people wanting to work for an electrician, sell them something, researching electricians, spammers, and on and on. 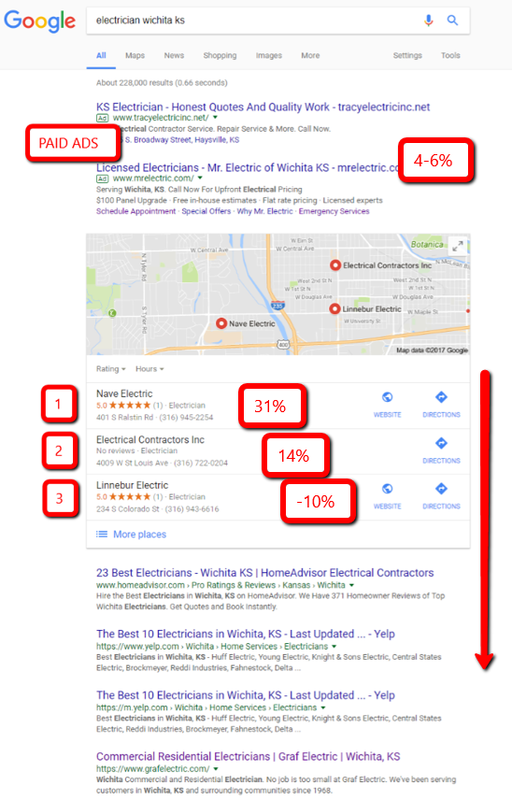 Worse yet, when you Google ‘electrician’ here in Wichita what do you see? A whole row of paid ads. Granted, they don’t get many of the clicks, but they muddy up the page. So, where is the big ‘opportunity’ I promised you? We know that most people start searches for what will solve their immediate problem. We know that customers expect more and more from Google (and they are getting it). 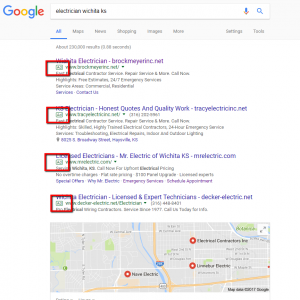 We know that ‘high value’ keywords like electrician gets TONS of traffic but have no intent. I forgot to mention one thing, and this doesn’t matter what industry you are in. It’s in the image above but you might have missed it. 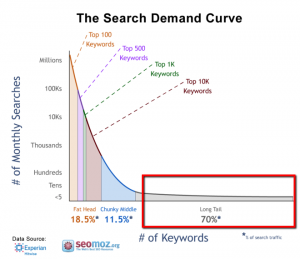 70% OF ALL SEARCHES ARE IN THE LONG TAIL. This means that, when you think about your ideal customers, the challenges they are running into, the questions they commonly have, herein lies the opportunity. Not a single local company. That’s terrible. But it’s also a HUGE opportunity for ONE electrician who would like my team to implement all of this for them. Set up a time to chat with Matthew and see if we are a good fit. 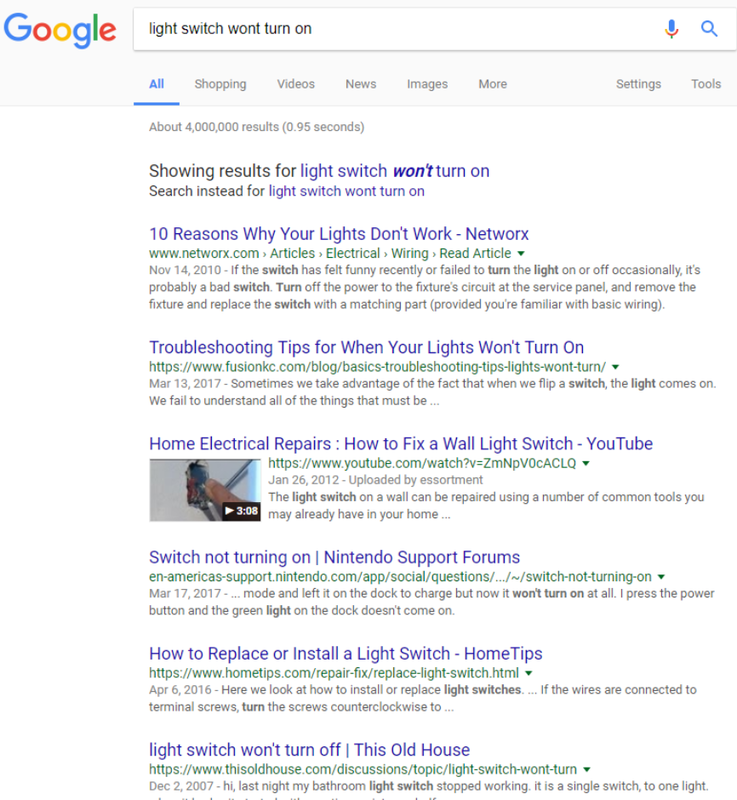 It’s MUCH easier to rank for ‘light switch won’t work’ or ‘does my fuse box need replaced?’ than keywords that have HUNDREDS of competitors (and paid ads) all fighting for that spot! There is all about fighting the smart fight. We have covered four really important areas when it comes to ranking well on Google and so far, it’s anybody ball game. BIG POINT #5 Reviews help in more ways than one. They are a factor (an important one) to Google in your rankings and traffic. I could go on for DAYS showing you case studies, white papers, research, scientific and anecdotes about how much reviews matter, but I am sure you already know. I turn to Amazon and there it is. 623 reviews with almost five stars. I’m sold. No question in my mind. It works. We tried it and sure enough, not a single mouse so far this year. Think about it. If you need an exterminator, who are you going to trust? 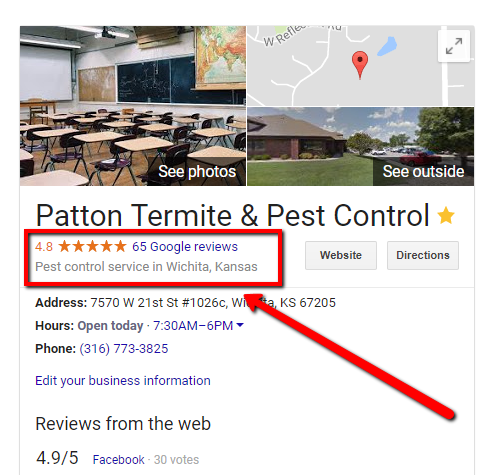 Patton Termite & Pest (my client) who has 4.8 stars with 65 reviews, or Betts with 2.4 stars and nine reviews? 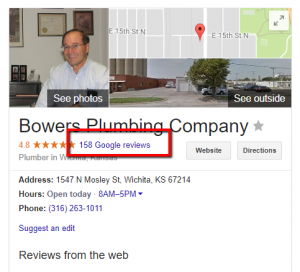 A company in Wichita that really stand out in this area is Bowers Plumbing. To me, this graph is exciting and represent a HUGE opportunity. Ranking at the top of the first page of Google, building trust with visitors to your website, and getting them to call you takes work, persistence, and teamwork. It isn’t easy and it doesn’t happen overnight. But the good (great) news is you only have to be faster than the other guy! BIG POINT #6 What are links!? 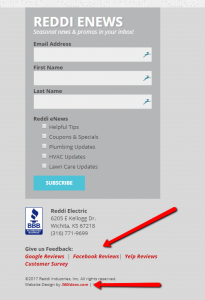 Links are when somebody can click something on website A and be taken to website B. It might be an image, a line of text, a video, anything really. This is a testimonial on my website from TJ Smith, the owner of US Logo on West St. Under his title is a link to his site. 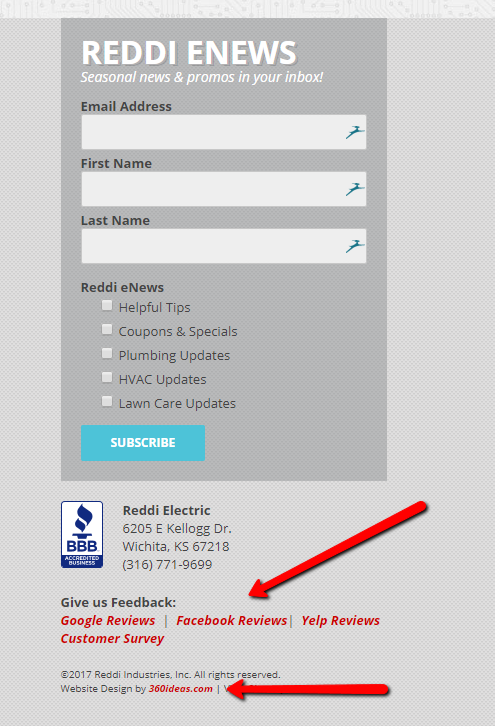 At the bottom of the Reddi Electric site there are links to leave reviews, social media profiles, and 360Wichita. Without a doubt, links, are the single most important factor in ranking at the top of the first page on Google. 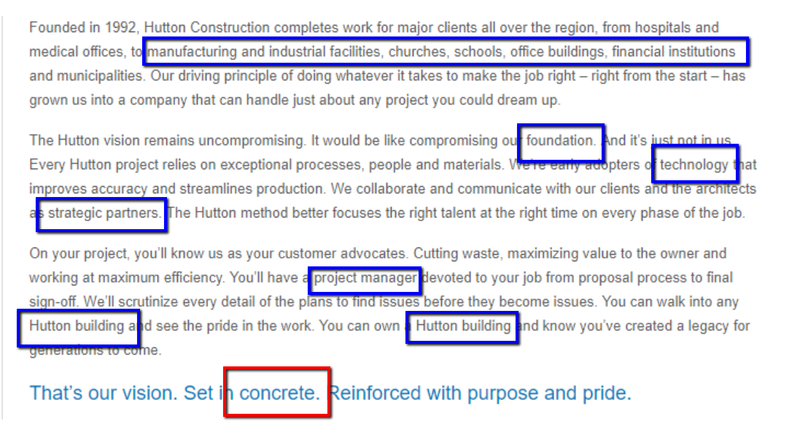 It was literally the foundation of the entire company when it started. Google was originally called ‘Backrub’ and what they did so differently was ranking all the websites on the web according to how many websites were linking to them. That’s it. By treating links from other sites as basically votes of confidence their results were much better than the other search engines back then. Since then, they have added more and more factors and tweaked things (Google Updates) but LINKS were the foundation and are still at the core of how they rank sites today. To Google, links are basically votes of confidence. When you have links from sites that are authoritative, local, or related to your industry, these do wonders at helping Google trust that you are who you say, that you do business where you say, and that you are reputable and worthy of the river of business they can send your way! It all goes back to building trust and helping Google see why you are the most reliable, steadfast, and honest electrician in the city of Wichita who is worthy of that top spot. a silent auction you participated in at Botanica. These are all examples of links that are either local, related to what you do, or really authoritative. Being aware of the importance of links was a huge factor in my success. Before I got into Digital Marketing, I owned Big Sky Party Rentals and I built up links from the Police and Fire games, Wingnuts, Thunder Hockey, Riverfest, Carrie Rengers, and the Parks Department – just to name a few. 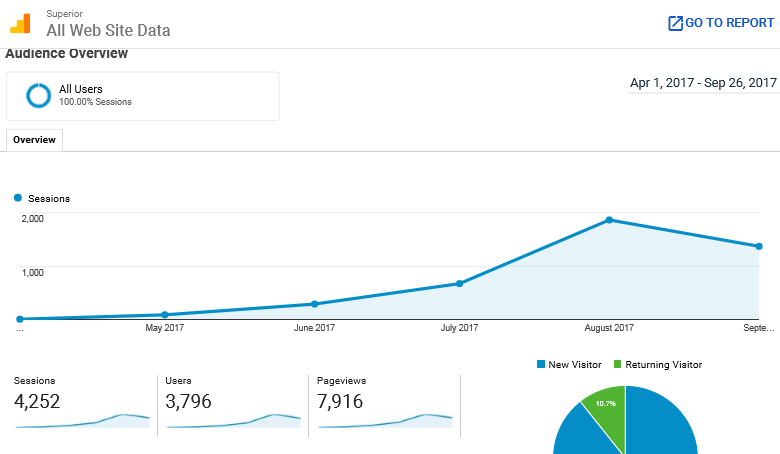 Our website traffic tripled, our sales grew almost 40% a year for three years in a row while we spent less and less on traditional advertising. Read my story. 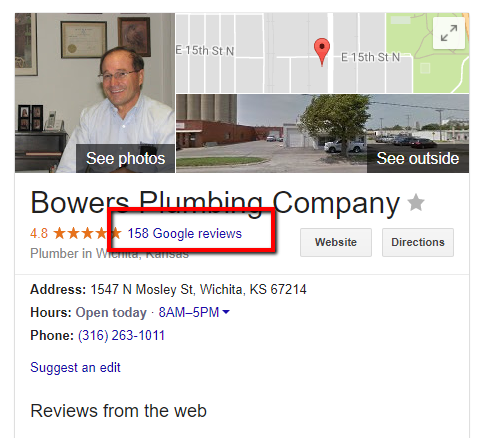 How many links do the electricians here in Wichita have? Like it or not, the world of marketing has changed dramatically and it’s only accelerating. We all know that the days of being able to write a check for radio, commercials, and Yellow Page Ads and having the phone ring and ring have long passed us by. 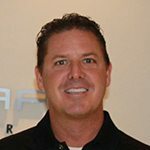 You are in a service industry that, to a large degree, has been relationship-based, but as technology keeps racing along and as the kids of parents that have been loyal customers for years and years move into the decision-maker’s seat, having a strong online presence is only going to be increasingly important. My agency doesn’t work with just any clients. We are actually quite selective. We never work with more than ten clients at a time and never with more than one company in the same industry at a time.